How much money could a biometric time clock save my business? Did you know that every year businesses lose billions of dollars to time theft? For the uninitiated, time theft refers to any instance that an employee accepts pay for work that they have not completed, or for time they have not worked. Time theft comes in many different forms, so to help you recognise the signs, here are some common time theft methods and how they can be rectified with a biometric time clock. Many employees try to sneak out on break early or come back late in order to extend their breaks. Some employees even try to take additional breaks throughout their shift to dodge work responsibilities. By making employees scan their face or fingerprint before and after their break you can keep tabs on their break lengths. If running late, some employees will ask their co-workers to log into their time clock for them. This means that you are paying employees for time that they are not actually at work. Due to the extensive technology in a biometric time clock it is impossible for anyone except the individual to log in for themselves. In some businesses, employers rely on employees to log their hours every week on paper or digital timesheets. This system requires an enormous amount of trust and honesty and unfortunately, many employees round up hours to ensure they take home more pay. With a biometric time clock, you can accurately track the hours your employees work and pay them accordingly. 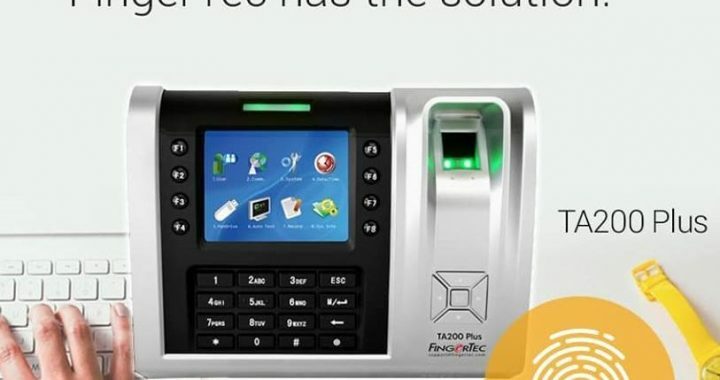 By installing a biometric time clock which use fingerprint and or retinal scanners, you can ensure that your business is logging more accurate check-in and check-out times for your employees and ensure that your business is not losing any hard-earned funds to time theft. If you are interested in a biometric time clock system, check out the range at BioAccSys Australia. Based in Brisbane and the Gold Coast, we are the country’s leading FingerTec time attendance and time clock specialist.